It is amazing how incorporating a feature such as recessed lights can transform the entire ambience of a room and set the tone for even more extensive improvements. 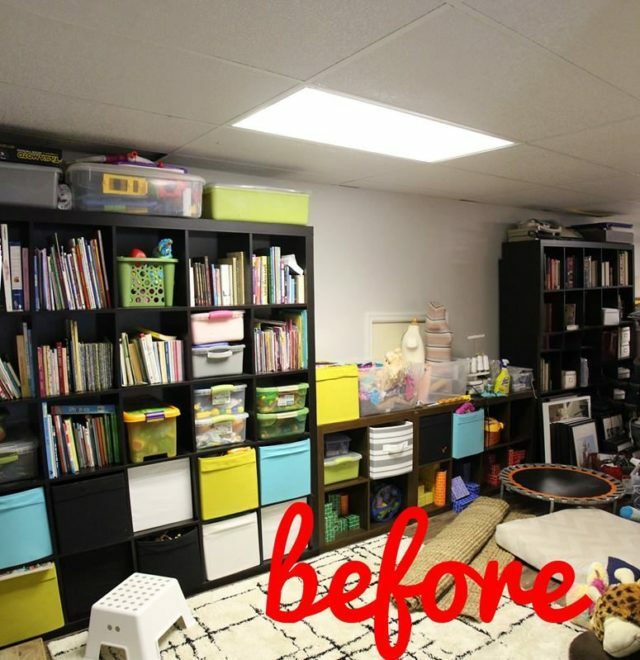 The good folks over at grosgrainfab.com fully explored the possibilities when they undertook to transform a dreary, utilitarian finished basement from a cluttered mess to a designer showcase (click here for more basement remodeling ideas). 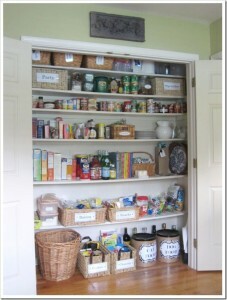 Formerly the basement in this house was used as a combination office and storage space with lots of bulky shelving and fluorescent lighting. Useful to be sure, but attractive? Not in the least. 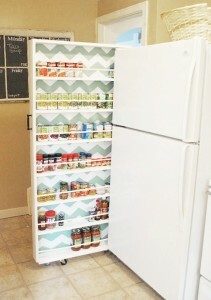 Deciding to give the basement a makeover was a no-brainer for Kathleen, the resident DIYer. There were no intimidating plumbing fixtures to be re-positioned, no walls to be either removed or put up. The fact that there was already a drop ceiling with existing lighting meant that no heavy electrical work would be required. She need only remove the fluorescent fixtures and replace them with more up to date can lighting and swap out the ceiling tiles. Even more convincing was the quote the homeowner obtained when contemplating the renovation. A professional wanted at least $1577 for materials and labor; she was able to do the same job herself for a mere $267! Cerrowire 600v, grounded, jacketed wire 250 ft. The first step in this basement remodel was the removal of the existing fluorescent lighting. This intrepid DIY maven strongly recommends turning off the power at the breaker box when working on ANY electrical fixture. While she could have turned the lighting off at the switch that would have left her open to someone in the family coming down to the basement and flipping the lights back on. She also advises having a voltage tester at hand, even when you think the power is off. 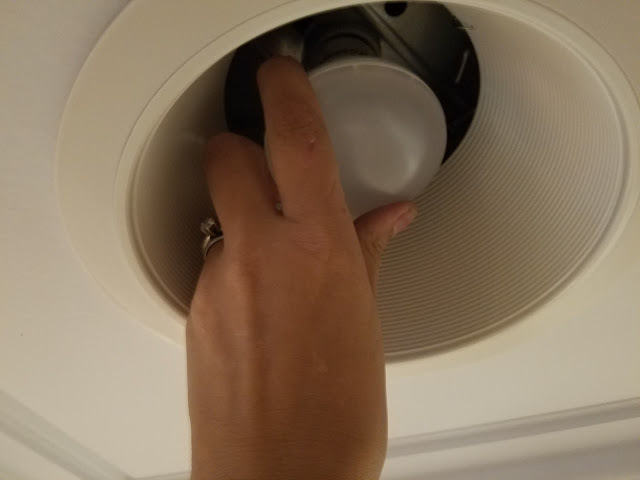 Put the tester up to a wire; if it lights up, do not touch that wire until you can safely disconnect it from the power source. It can be a bit tedious to take down fluorescent lighting, but it is not difficult. Fortunately for those of you who might also have this type of preexisting lighting in your basement, our heroine gives detailed, step-by-step instructions in her post of the removal illustrated with a wealth of photographs—check it out at the link below! 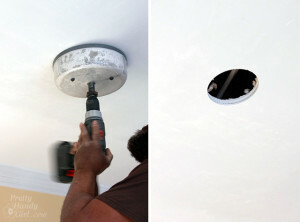 Once the old lighting was down this DIYer was ready to install the new can lighting. 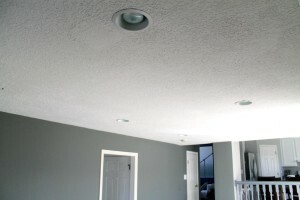 Because she had a drop ceiling for the old fluorescents, she was able to retain the metal framework and buy recessed lighting packs from her local home improvement center which included connectors to secure the new lights to the existing frame. Her post is illustrated with photographs of the packs she used and the process required to correctly attach them to the framework and do the wiring, including how to use the tools properly. After wiring was done, it was time to install the ceiling tiles. 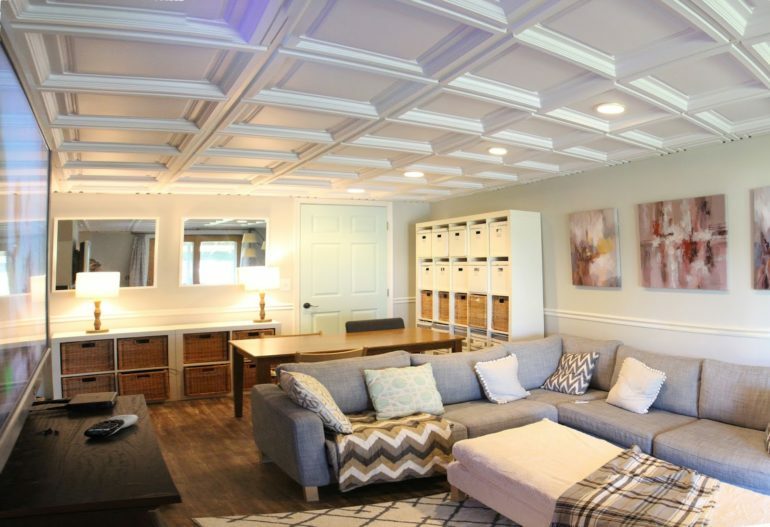 She had chosen elegant faux picture frame molding 3D ceiling panels that would fit into her existing framework, most of which could be easily snapped into place. 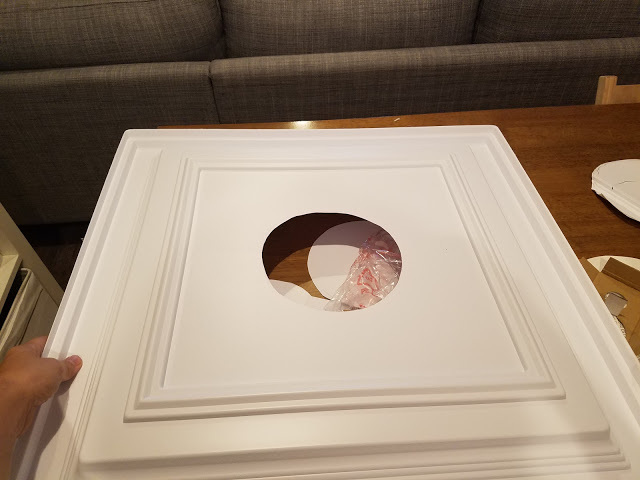 To prepare the ceiling tiles that needed to accommodate the lights, she used the template included in her lighting packs, drew the opening onto the tile and cut out the circle. Her lighting packs included spring loaded trim to dress the margin of the tiles around the fixtures, and its installation completed the project. 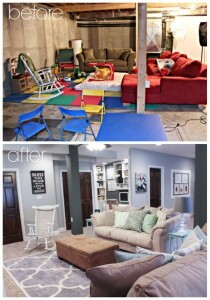 Check out the post to see the total transformation of this daylight basement. It did not stop at the recessed lighting!